Manufactured from tough PVC fabric and fitted with waterproof taped seams. Multiple drawcord adjusters and stud fasteners provide a watertight solution to keep you working in bad weather. They have a waterproof rating of 3000mm. 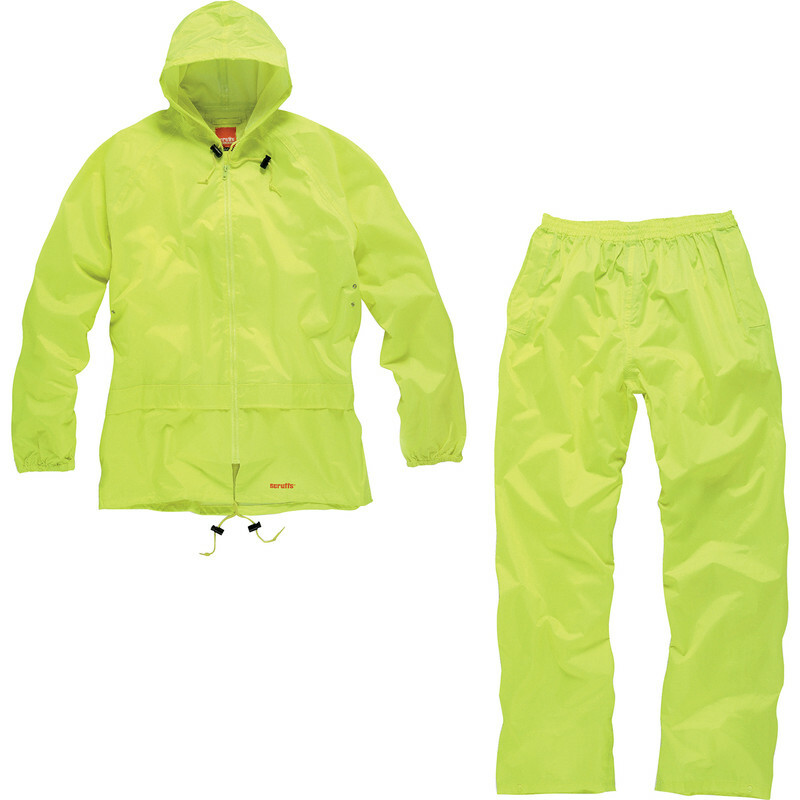 Scruffs 2 Piece Rainsuit Large Yellow is rated 1.5 out of 5 by 2. Rated 2 out of 5 by Trade from Waterproof The clothing is waterproof, but unfortunately rips/tears very easily.